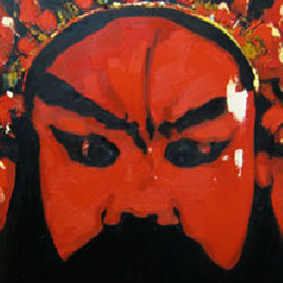 Sunzhen Liu’s paintings of Peking Opera characters present dynamic and exciting images intended to surprise and thrill the viewer. His vibrant use of high key tones in complementary colors such as red, black, blue and yellow are accented by use of white, which gives a point for the eye to seize onto. His composition and use of color forces the viewer to stop and contemplate his simultaneously grotesque and interesting compositions. Peking Opera, regarded as one of the highest art forms in China, combines singing, dancing, theater and acrobatics. 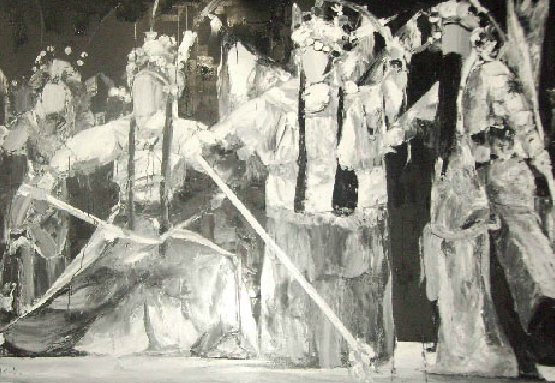 Sunzhen’s paintings bring us face to face with this vibrant art form. The heaviness of the paint resembles the strong emotion in Peking Opera; the quickness of the brush recalls the rapid yet graceful movements of the actors. 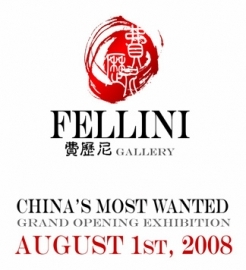 Unlike earlier Chinese artists who merely sought to portray the costumes and makeup, he seeks to enlighten the viewer with the true essence of the art of performance. Liu currently lives and works in Shanghai.